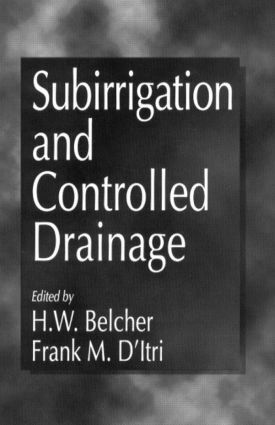 Subirrigation and Controlled Drainage provides information by four subject groups: subirrigation/controlled drainage system planning and operation, economic/production impact, environmental impact, and barriers to further implementation of water table management systems. The chapter authors address water table management opportunities and issues by providing results and discussions of their research and experience. The book provides essential information to anyone associated with shallow water table management for agricultural production.